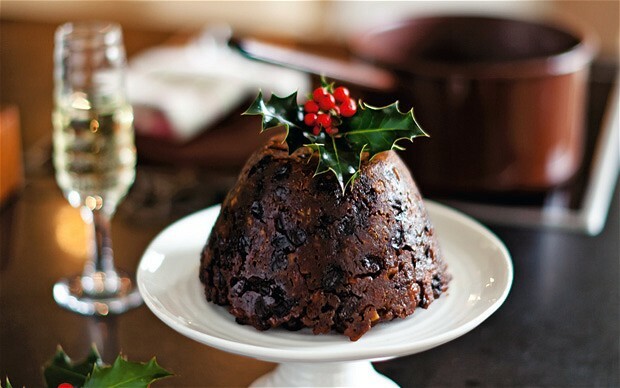 This Christmas pudding is a lot lighter, and even though it tastes like a steamed pudding it's a lot easier to make because you make it in the microwave. You can make this a week ahead, store it wrapped in your fridge, then just reheat it in the microwave again before serving. Quick, simple, easy ... and delicious! Place the butter in a pudding bowl (or small mixing bowl) and melt in the microwave for 1 to 2 minutes. In another mixing bowl beat the eggs with the vanilla, sugar, spices, zest and rum. Pour in the melted butter, using what's left in the pudding bowl to make sure it's well greased. (This bowl is what you will use to cook the pudding.) For easier removal, I recommend you also line the bottom of the bowl with a disk of parchment paper. Add the mincemeat to the mixture, then the apple, the almond flour and mix well. Pour the mixture into the greased pudding bowl. To keep the pudding from growing too high, place a piece of cheesecloth over the top of the bowl and tie it around with a piece of string. The cheesecloth will allow the air to escape, but will keep the pudding within the bowl. Remove the bowl carefully. It will be hot so use oven gloves. Allow to cool completely, then wrap in plastic and refrigerate until needed. To remove the pudding, place a small plate on top of the pudding bowl. Invert. Remove the bowl. 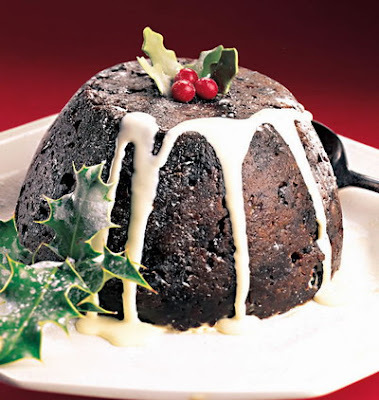 Cool the pudding completely, then wrap in plastic and store in your fridge until Christmas day. This pudding is small but very rich, so will easily serve 4. If you want to serve this the traditional way, you will serve it flambe. To do this, first dim the lights in the dining room - you want everyone to get the effect! Put your heated Christmas pudding on a heat resistant dish (such as a pyrex pie plate) then put this on a tray or large plate because the pie plate will get hot. Heat 1/4 cup brandy until just warm. 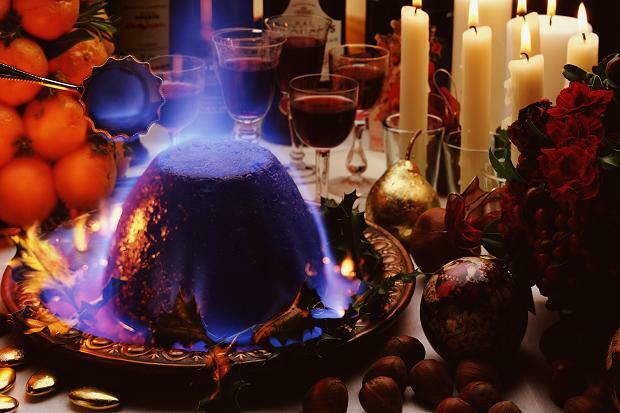 Pour over the pudding, then set alight. (The safest way is to use a barbecue lighter.) Then, VERY CAREFULLY carry it to the table and your waiting family and friends. If you like this recipe you'll find others like it in my Christmas recipe book 10 Easy Christmas Dessert Recipes. There are three books in my Christmas Collection and together they will give you all the recipes you will need to have a great holiday season. We do not have a microwave in our home. Can I prepare this in an oven or with a double boiler? I think if I didn't use the microwave I'd try this as a baked pudding. Grease an oven-proof bowl or dish and line with parchment paper. Pour in the batter, then cover with aluminum foil and bake at 350'F for 30 minutes. Remove the foil and check to see if it's done. If not, cook for another 10 minutes and then check again. I haven't tried this myself but that would be my suggestion, after all, with all these terrific ingredients, I don't think you can really ruin it unless you over cook it.